​I developed a love for quilting during my formative years. I often watched my aunt construct intricate works of art by hand, using just scraps of fabric, a needle, and thread. 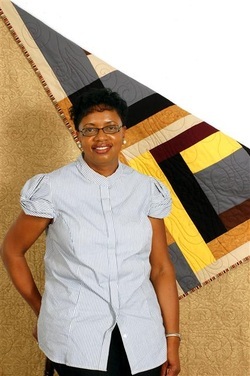 My interest was ignited when I became a member of the Nubian Heritage Quilters Guild of New Jersey and my hobby developed into a small business, C.C. Quilts. I am best known for made-to-order family picture quilts, which feature transposed photographs stitched onto the fabric. My work has been displayed at various quilt shows and art galleries in New Jersey, New York, and Philadelphia. In 2004, my work received third place honors among 800 other competitors by the State Quilt Guild of New Jersey. I was also featured in a two-page article in the Courier News (June 2004), which celebrated my artistic talents. Center for Community Change, Washington D.C.